Beat This Caption Contest 232 Winner – Caption Contest Funny Clever Witty Enter Today! Hey Girl, You Gonna Finish Those Fries? 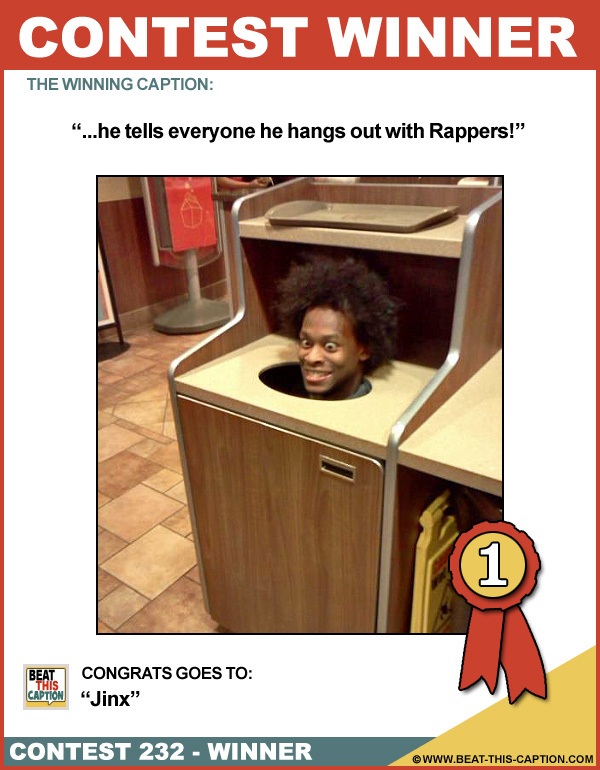 …he tells everyone he hangs out with Rappers! Hey man, there’s no toilet paper here!